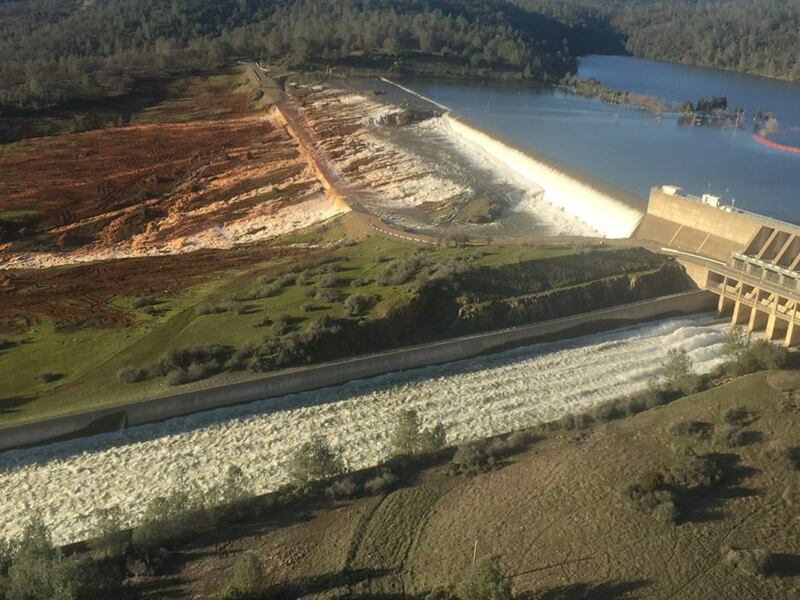 The Oroville Reservoir spillway in California has been reopened. It collapsed during heavy rains in February 2017. Damage and repair costs totaled $1.1 billion USD. Back in 2017 a hole opened in the spillway during heavy rains. Nearly 200,000 residents were evacuated as a result. Oroville Dam is an earthfill embankment dam on the Feather River east of the city of Oroville, California, in the Sierra Nevada foothills east of the Sacramento Valley. At 770 feet high, it is the tallest dam in the U.S. and serves mainly for water supply, hydroelectricity generation and flood control.